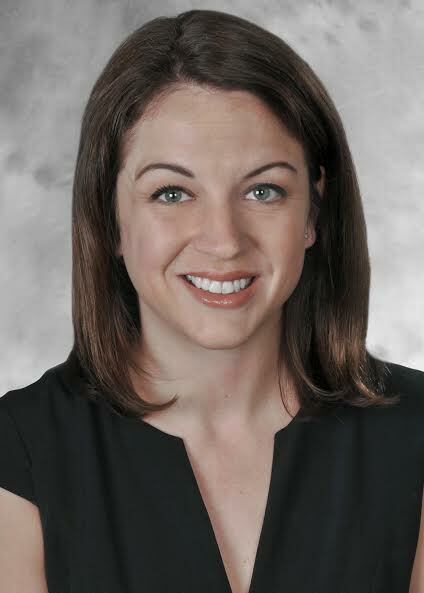 Dr. Rachel Beard joined the Division of Surgical Oncology at University Surgical Associates Oct. 2, where she will provide state-of-the-art treatment for patients with primary and metastatic cancers of the liver and pancreas. University Surgical Associates, Rhode Island’s largest multidisciplinary surgical group, has 10 offices throughout the state. Beard will see patients at the group’s office at 2 Dudley St., Suite 370, in Providence. Providence Business news asked Beard to talk about the cutting edge of pancreatic and liver cancer and her experience with laparoscopic surgery and its future. PBN: You provide state-of-the-art treatment of pancreatic and liver cancer – what new technique provides the best hope for these patients? What are you most excited about on the horizon? BEARD: While laparoscopy is a great technique, robotic-assisted surgery is really broadening the possibilities in terms of pancreas and liver operations that can be done minimally invasively, which is very exciting. Right now there is only one company (da Vinci) that makes these kinds of instruments, but there are other companies (including Google) who are developing similar kinds of tools as well, so there’s every reason to expect that the technology will continue to improve. PBN: Pancreatic cancer is well known to be among the most serious and toughest to treat. Are the outcomes for pancreatic cancer improving? BEARD: From a surgical standpoint, the operations performed to resect pancreatic cancer are much safer than they used to be, with faster recoveries afterwards. Unfortunately, it is still a minority of patients who present with a pancreatic cancer that can be treated with surgery, as the majority have disease that is too advanced or widespread at the time of diagnosis. The good news is that chemotherapy regimens are getting better and better, and there is a tremendous amount of progress being made in the development of other nonsurgical therapies, such as focused radiation and targeted gene therapies. There is still a long way to go, but there are a lot of reasons to be hopeful. PBN: Can you describe the experience of performing laparoscopic surgery? BEARD: In general, you use small incisions and long instruments, one of which is a camera, and you blow carbon dioxide gas into the abdomen to insufflate it like a balloon so you have space to work. The instruments become an extension of the surgeon’s hands and are used to grab and move tissues, cut and cauterize, and even suture. And the end of the operation, the specimen, whether it’s an appendix or a gallbladder or part of the liver or pancreas, is removed from the abdomen in a bag through one of the incisions. The incisions are sewn closed and a lot of time you just use a little skin superglue on top, so there aren’t any staples or bandages for patients to deal with afterwards. PBN: Do you train for laparoscopic surgery by performing traditional surgery first, or is the training focus solely on learning to do it laparoscopically? BEARD: It’s impossible to be a good laparoscopic surgeon without also being a good open (traditional) surgeon. Certain operations just aren’t suited to laparoscopic surgery, and even with those that are, being able to convert to an open surgery in order to complete an operation is always a fallback option. The end goal is to get a patient through their operation safely and successfully, regardless of the technique. PBN: What common misconception about your work would you like to dissuade the general public from? BEARD: Surgeons aren’t just cutters. The decisions surrounding cancer surgery are incredibly complex and we work very closely with our colleagues from radiation and medical oncology to develop the best overall plan for a patient, including treatments that happen before and after surgery. I also don’t stop being a patient’s surgeon just because their surgery is done. I love continuing to follow patients and forming long-term relationships so I can help them manage through both the highs and the lows as they fight their disease.